In the modern age, we trust technology to make our lives easier. Having Siri on our phones, and Google at our fingertips has given us a convenience craving. And, for the most part, technology hasn’t disappointed. Machines like Alexa have well and truly rocketed us into the future. This is the stuff we saw in space films no more than ten years ago! And, the convenience of technology no longer stops at home. Ever-developing in car infotainment systems allow us to take convenience on the road. While many such systems still face some teething problems, each new design brings us closer to the futuristic vehicles of our dreams. Next stop; flying cars! Seriously, though, in car infotainment is worth our attention. Done right, it could make our lives much easier. At the moment, the main benefit seems to be sat-nav functions. But, if things continue to progress, who knows where these inventions could take us? You could argue that intuitive in car systems could take driving safety to a new level. Already, we’ve seen systems which have the ability to control erratic driving, and check speed. And, this could go much further. Imagine a system which recognizes when you’re falling asleep. It may seem futuristic, but anything is possible. Of course, some car designers are closer to perfection than others. Top of best lists at the moment is the Mercedes Comand. This new system, fitted in new release Mercedes, boasts of two HD screens, so you could play music and use a sat-nav. It also comes complete with a controller next to the armrest. So, you don’t have to worry about scrolling through menus by hand. Instead, you can control your infotainment without even moving. The newest release systems even boast of a touch screen on top of the existing controller dials. Life keeps getting easier! Also worth a mention is the BMW iDrive. This is, by far, one of the most intuitive systems out there. It only has one screen to Mercede’s two, but that also boasts of HD quality. The screen comes complete with shortcut buttons and a touchscreen. Though, you will need to reach out to the screen itself to use this. Primary control stays close though, with a control knob next to your gear stick. So, again, you can control the majority of features without leaning forward. So, that’s what’s on the market already. And, with each new release, we see the inclusion of more and more features. But, what are the benefits of these systems? It may be nice to have a sat-nav built in, but most of us have those on our phones already. As such, this may not be enough to get everyone on side. But, that’s not the only benefit infotainment systems boast. Most designs also allow you to connect your phone, which is an advantage for a few different reasons. For one, you can access all your music without worry. Gone are the days of rummaging for CDs. Now, anything on your phone is fair game. Another benefit is that many infotainment systems can read texts to you as you drive. Texting while driving has been a major issue for years. 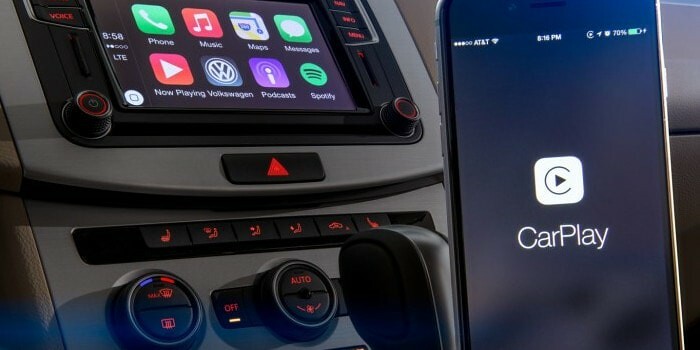 Options like Apple’s CarPlay even give you the chance to reply to texts while driving. It’s as simple as pressing a voice control function on your steering wheel. You can then tell the system what you would like to say, and it’ll send the text for you. While there are safety benefits to such systems, it would be naive to think that there aren’t some risks, as well. Cars are, ultimately, meant for driving. Do we need entertainment systems, too? A huge number of people each year already seek a lawyer to provide justice from car accidents caused by distracted drivers. And, such lawyers will tell you that distracted driving is a criminal offense. In the past, phones offered the main distraction. Now, are our infotainment systems at risk of doing the same? Manufacturers have tried to lessen the distractions with close to the driver controls. But, that may not be enough. Even if your controller is near to you, you need to take your eyes off the road to see what you’re controlling. The good news is, manufacturers are working to solve this issue. BMW’s new design iDrive systems, for example, look set to include gesture control. And, in the future, voice control may save us having to take our eyes off the road at all. Watch the space! Next articleDo I Need a POS System?